Married to Ken for 36 years, Debbie is an integral part of Kenner Homes. Kenner makes building easy and Debbie enables us to do so by making sure that our office is always running as smoothly and efficiently as possible. From attending to our books, to making sure that every subcontractor employed by Kenner has current licensing credentials and is fully insured- Debbie assures us that there are no “loopholes” in our business or in the quality of our subcontractors. Debbie brings to Kenner her experience as Director of Safety at The Continental Group, Inc. and FirstService Residential for 26 years as well as an OSHA Construction Outreach Trainer. With this extensive background in worker’s compensation and OSHA safety standards, we can always be sure that Kenner offers not only its customers, but also it’s subcontractors and other workers the safest working jobsites. 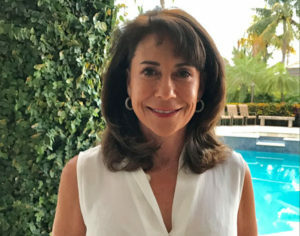 In addition, Debbie is President of the Huntington’s Disease Society of America- South Florida Chapter and the Event Director for the Huntington’s Disease Triathlon for the past 26 years – an organization near and dear to her heart.